At 9:38pm ET this evening, we will have our last super moon of the year. It is a full moon in Pisces opposite the sun in Virgo at 16°. This involves what many call the axis of service; Virgo deals largely with practical service in the mundane world and Pisces concerns itself largely with imaginative service in the spiritual realm. The opposition of these two energies should be our main focus with this full moon. Our focus on the things we do everyday to survive in the modern world (sun in Virgo) should not completely supersede the emotional need to imagine and compassionately connect with a higher power (moon in Pisces). The balance of both is necessary and the full moon is a reminder to look back over where we came from to see where we can balance them a bit more. This can be a bit of a heartbreaking task. Noticing where we fell short is hard; even more so when we are moving from a Virgo centered perspective. Chiron makes a tight conjunction with the moon tonight so old wounds may feel fresh. The pressure to martyr ourselves, to make up for past real or imagined transgressions, may bubble up as well. Allow yourself to feel it, find a comforting friend to listen (it may be easier since mercury moved into Libra- listening and considering others is a mainstay of this combo), and let it go. “You may say that I’m a dreamer/ but I’m not the only one” Pisces energy understands connection to humanity through the unseen and unknown. 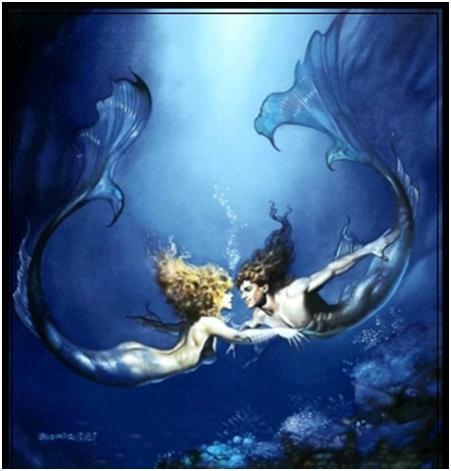 Pisces is excellent at reminding us that we find God/Goddess in the people we meet and connect with everyday. 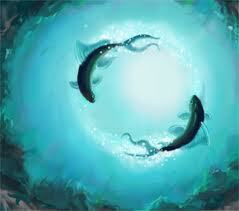 Moon in Pisces nudges us to imagine compassionate ways to interact with humanity. Building bridges on rocky shores is a kind of superpower that the fishes have. Refine your everyday living with all of the preciseness of Virgo. Assisting others in practical ways is not always Pisces’ first mind for compassionate service but it can do a world of good as well. Giving to others in such a way allows for a free flowing of love that nurtures body, mind, and spirit.